Choose durable TurtleSkin Utility Gloves if you are looking for excellent cut and needlestick protection in the palm of the hand and fingertips, without sacrificing your dexterity or comfort. Protect your hands with the highest resistance to very fine penetrators like needles, glass shards, and sharp wires. TurtleSkin PalmMaster (PM) material protects high-risk areas on your hands. 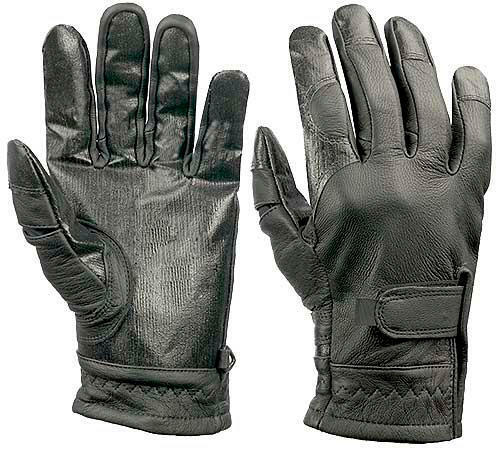 These leather gloves soften with wear but will not fail to provide cut, puncture, or needle protection. Puncture resistant to 502 grams of force tested with a 28-gauge hypodermic needle. Suggested Uses: Sharps disposal, wire and cable handling, utility workers, janitorial and custodial.